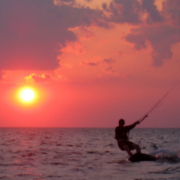 Puget Sound Kiteboarding Association - Pacific Northwest, Seattle, Tacoma, Bellingham and surrounding areas • View topic - (FIXED) Bug: 119 char limit? (FIXED) Bug: 119 char limit? Not sure what the deal is there. Re: Bug: 119 char limit? Fixed messages <160 chars, but found another issue. Message: ults in the PSWind forum on pskite! Thanks again!First fully working broadcast. Please share your results in the PSWind forum on pskite! Thanks again! I only got the first message via SMS though. I did get all 3 emails though. 201 and 198 characters sent respectively for the latter two messages above. I suspect that messages over 160 characters get dropped for tmobile at least. Ok, so this is just a SMS/MMS deal. Messages >160 chars get converted to a MMS message. I hacked my phone to accept mms messages now. Problem solved. Re: (FIXED) Bug: 119 char limit?